Buzzfeed posted a list of some of the Vancouver Aquarium’s recent campaigns. 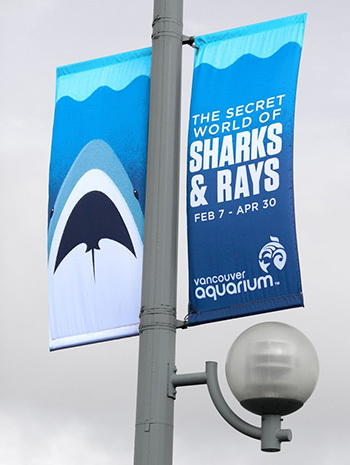 We made the banners in #5 for their Sharks and Rays exhibit, and their new jellyfish banners should be up soon downtown! Photo from Buzzfeed, but the original appears to belong to Chad Jones and Tony Hird? Our Nova Scotia Flag Shop applique sewed the large naval ensign that appears in this video. The 6′ x 12′ flag was used at the ceremony commemorating the new naval ensign which replaces the Canadian maple leaf flag as the previous ensign. 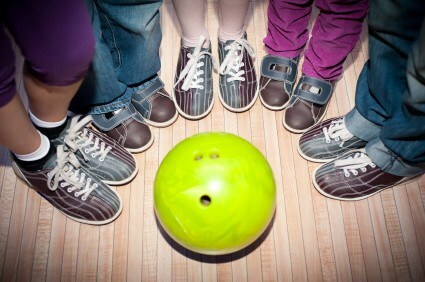 In March, we donated to the UBC Properties Trust team when they were fundraising for the event Bowl for Big Brothers Classic. In the end, they raised almost $1500 for the event which means that they received the 5-Course Tasting Menu for 2 at Diva at the Met for their team. Congratulations to all the teams who participated and made a difference! You are currently browsing the The Flag Shop Blog blog archives for May, 2013.